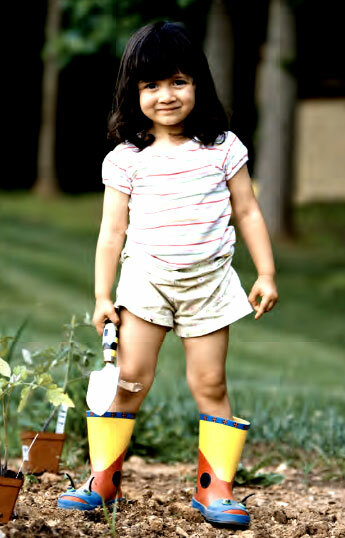 Spring isn’t just a beautiful time to enjoy the outdoors, it is also a great time to get outside with your kids and start your own family garden. A new guide, titled “Get Your Family’s Garden Growing” released by the National Wildlife Federation (NWF) shows just how easy and fun it can be to garden with your kids. The new guide is part of the National Wildlife Federation’s Be Out There movement and is being released in celebration of May is Garden for Wildlife Month. Download the full guide at www.beoutthere.org/garden and get more tips and advice for parents. For more information on Gardening for Wildlife Month, visit the Garden for Wildlife website. Studies show that children who spend more time outside are more likely to live an active lifestyle, maintain a healthier body weight, are less likely to be near-sighted, have higher vitamin D levels, display more empathy and less stress, have better mental health and have increased attention spans and improved critical thinking skills. The American Academy of Pediatrics recommends 1 hour of outside play per day. Be Out There™ is NWF’s movement to reconnect families with the outdoors. Kids today spend twice as much time indoors as their parents did, missing out on the simple pleasures and lasting mental and physical health benefits of daily outdoor time. NWF’s practical tools and information help make being outside a fun, healthy and automatic part of everyday life for American families. For other helpful resources and to learn more about NWF’s goal to get 10 million more kids spending regular time in the great outdoors, visit: www.BeOutThere.org. For more National Wildlife Federation news, visit: www.nwf.org/news.